Sometimes reality overtakes prophecy. Christian Kern was quicker with his resignation than was predicted in this column in the last issue of Metropole. His paradoxical intervention has surprised friends and enemies. He wants to be the Spitzenkandidat (lead candidate) of the combined Social Democratic factions of the EU in the European Parliament. So, Kern resigned as party leader of the Social-Democratic SPÖ and succeeded in installing his desired candidate, Pamela Rendi-Wagner, as his successor. Rendi-Wagner, a doctor by education, studied in London and later worked as a civil servant in the Health Ministry. She entered politics with her appointment as Health Minister and only then became a member of the SPÖ. Not everyone in the party was and is enthusiastic about the party being led by a newcomer from a different field and who is expected to score particularly well in the red-green inner-city districts. But the fact is, there was no alternative to her. This is her biggest problem and her biggest advantage. Thanks to Kern, the SPÖ is in a crisis: The party needs Rendi-Wagner. But Rendi-Wagner does not necessarily need politics to be happy. With Rendi-Wagner, the second woman assumes a leading position in an opposition party: Beate Meinl-Reisinger followed Matthias Strolz at the top of the liberal Neos, who had resigned just as suddenly and egocentrically as Kern. And after her election, Meinl-Reisinger then surprised us all: She is pregnant for the third time and her husband, a judge, will go on paternity leave. Rendi-Wagner’s husband, Mischa, a Foreign Ministry official, is also more involved in taking care of their two children than many men in more traditional marriages. So, both women stand for a modern worldview and will use this to define themselves politically in opposition to Sebastian Kurz and HC Strache. The governing parties ÖVP and FPÖ are led by two men, Sebastian Kurz and Heinz-Christian Strache. All three opposition parties have recently exchanged leaders and now have women at the top. Women vs. men will become an often-used headline for articles in the years to come and TV confrontations will not be easy for these two party leaders. In Austria, there is still an unwritten rule that women ought not be attacked in front of the camera. Offenders are seen as unlikable. All three women have an internal political problem and they can look to Angela Merkel for the solution: They have to emancipate themselves from their all-powerful predecessors. Rendi-Wagner must distance herself from Kern’s streak of bad luck. 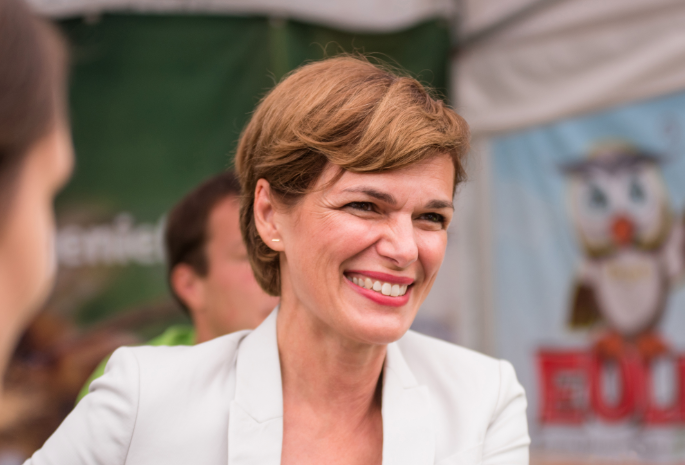 Meinl-Reisinger has to step out of the shadow of her former boss, Matthias Strolz, who will happily continue to cast a shadow for some time to come. Maria Stern from the Liste Pilz has the hardest time; Peter Pilz can neither be tamed nor convinced that the time has come for some men to step back from politics. Of course, I could be accused of spinning such hypotheses about women. But never when it comes to men in politics. Let’s put it this way: I’d be glad to see the future unfold differently. May all three be successful in leading their parties. Since 2012 Editor in Chief and since 2014 Publisher of the Austrian daily Die Presse. He grew up in Vienna’s 9th district and has received several journalism prizes throughout his career.